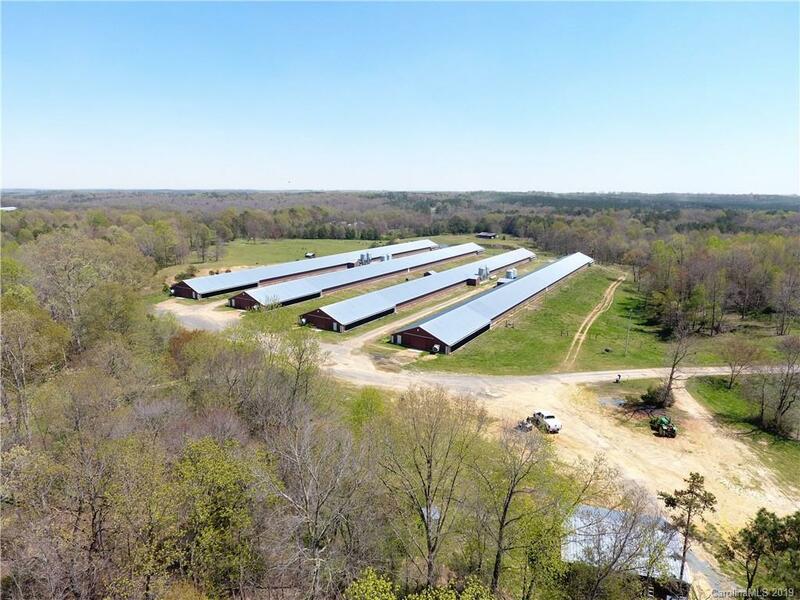 57 Acre Burnsville Farm with 4 Producing Poultry Houses. Currently growing for Pilgrim's Pride. Built in 2005 with recent updates including cool cells, exhaust fans and potentially heaters depending on timing. Metal Building with shop and water storage tanks, large litter shed, 5 wells total, 135KW generator. Sale includes a 1,350 SF 3 bedroom, 2 bath manufactured home, a single wide and a additional double wide manufactured home with well that needs to be completed and setup. 2 of the 3 residential houses are occupied. Approximately 15 acres of pasture with two ponds and old barn. Farm currently has chickens appointments required before visiting farm.